At Reeves Financial we offer a Wealth Management Service with a focus on what matters most to you. Our expert wealth advisory team work closely with you to develop a long-term strategy that reflects your financial goals, your personal circumstances and your attitude to risk. We will help you to find the right financial solutions and long-range financial goals according to your unique financial profile. This can include investment decisions, pension planning, retirement planning, succession planning, tax optimisation and estate planning. We are completely Independent (whole of market), and financial solutions will be recommended based on your risk profile, investable assets, your personal circumstances, objectives and goals. We make strategic wealth management plans according to the unique position of each client. We take time to understand your financial goals and aspirations to determine the best plan and solutions for you. We look to build an established relationship with you to ensure your long-term financial goals are met and we continue to work together, monitoring and advising you on a regular basis. We offer advice to ensure your investment portfolio is tailored to your agreed needs. We explore all options to understand how you view risk and to ascertain your investment priorities. For example, we can tailor your portfolio to include guaranteed funds or moderately cautious investments or consider alternatives if you would like to explore options for additional growth. Or perhaps you are interested to invest in ‘sustainable’ type of fund portfolios. Whatever your personal preferences when it comes to investing, we will ensure we fully understand your priorities before we give any advice to manage investments for you. Your personal preferences and attitude to risk will always be fully explored and understood. Our team will work together to maximise your wealth and work to preserve your capital in line with your agreed risk profile, depending on your individual circumstances, needs, and objectives. Getting your pension in order is one thing you can do to financially plan for the future. Our Wealth Management team have the knowledge and expertise to ensure your pension fund is tax efficient and has the right options, and flexibility to suit your specific needs and circumstances. If you’ve reached retirement or are about to retire, our Wealth Management advisers can help you make the most of your pension benefits. We can assess your circumstances and help you to identify, understand and manage your invested Portfolio and other Schemes. If you have built your wealth for example on growing a successful business, we can help for when you want to step down from the helm and retire. Investment planning can present a bewildering number of options. We will take the time to understand your financial circumstances and your family dynamics to give you advice that is tailored to your specific circumstances. Investments can have complex tax ramifications. We will explain the tax implications and seek ways to make tax efficiencies by maximising your tax allowance and minimising tax on assets. 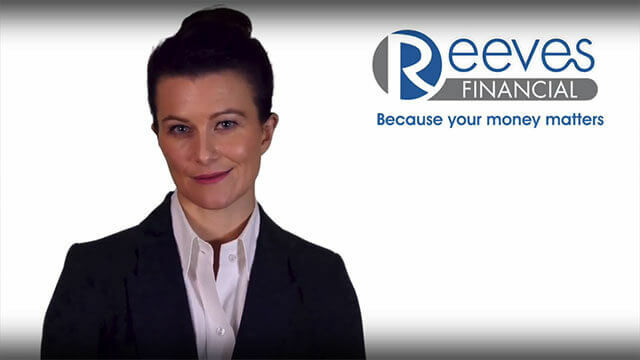 At Reeves Financial we start our Wealth Management Services with a complimentary consultation. We call this our “discovery process”. We begin with a fact-finding exercise to understand your Wealth Management needs and to establish that our services meet your requirements. You get the opportunity to ask questions, so you can be assured we are the Wealth Management Specialists you would like to work with. During the initial consultation, we will get a feel for your financial situation and what you aim to achieve. After we have identified and agreed your circumstances, goals and aspirations along with your risk tolerance and capacity for risk, we can begin setting the foundations of planning any investments solutions and pensions for retirement. Once we have agreed a financial strategy for you, we will review your financial position periodically according to your needs. For most clients this happens every 6 months, but this can be at any time dependent on your specific circumstances and requirements. If you would like Wealth Management Advice, please complete the contact form below and one of our professional team will get back to you as soon as possible.